Lock in a great price for Zermatt Youth Hostel – rated 8.2 by recent guests! The best part about this hostel is the staff. They were very helpful at the front desk. 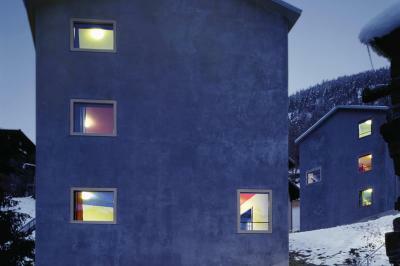 They also have storage for snowboards and ski equipment. Laundry onsite was a plus. The location is a bit uphill. If taking the luggage, i would recommend for the bus. Dinner and breakfast buffet, view from my room, the free locker set up. Great value for the money! 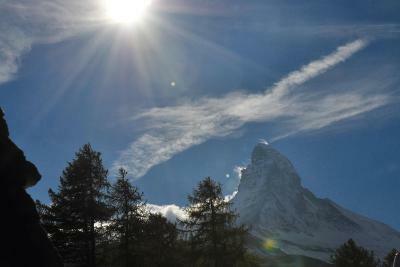 The view of the Matterhorn was incredible and the breakfast buffet excellent! Very clean and modern facilities. Free breakfast was well above average. Staff was top notch and they allowed me to check in early. Great view of the Matterhorn from my front door. 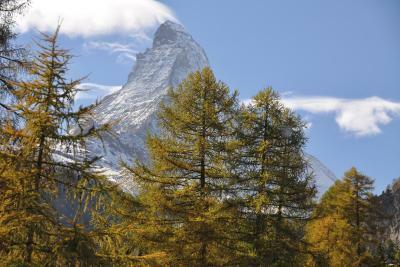 World-famous Matterhorn Mountain can be viewed from Youth Hostel Zermatt. 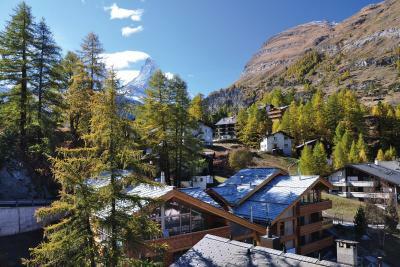 Ski elevators as well as Zermatt city center are a 10-minute walk away. Free Wi-Fi is available in public areas. 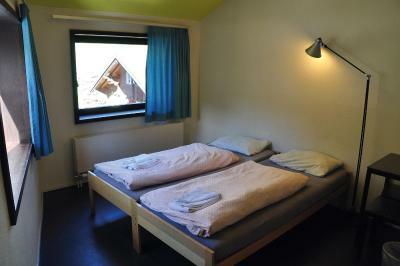 You can choose from rooms with private bathroom, rooms with shared bathroom facilities and single beds in a dormitory. Some rooms feature access to a barrier-free shower. 3-course meals are available on prior request at Youth Hostel Zermatt. 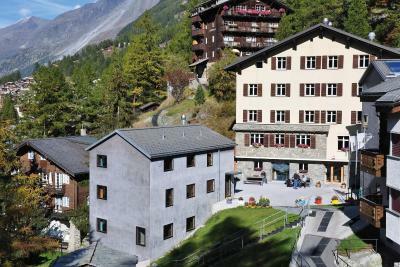 When would you like to stay at Zermatt Youth Hostel? 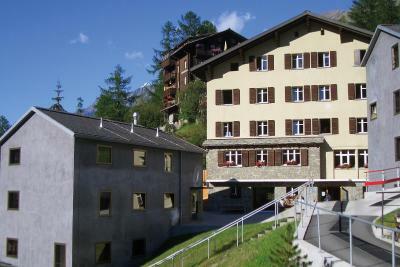 House Rules Zermatt Youth Hostel takes special requests – add in the next step! 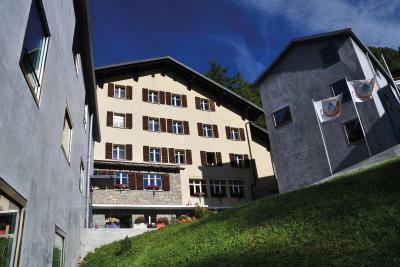 Zermatt Youth Hostel accepts these cards and reserves the right to temporarily hold an amount prior to arrival. 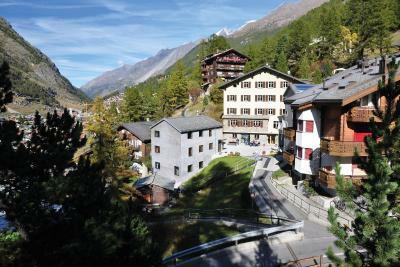 Please note that Zermatt is a car-free resort and can only be reached by train from Täsch. Cars need to be parked in Täsch. 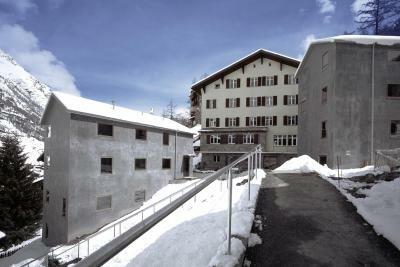 Please note that a shared kitchen is not available at Youth Hostel Zermatt. Please note further that the dining area is not wheelchair accessible. Only some rooms feature access to a barrier-free shower. Please note that a check-in after 22:00 is only possible on prior request. No information how to book just female bed. The rooms are a bit tight. The ceiling is slanted, so it cuts the volume of the room on half. Having a top bunk, it was a bit much to get up and down and avoid hitting your head. This is not really a youth hostel. There was an abundance or older and senior travelers staying. 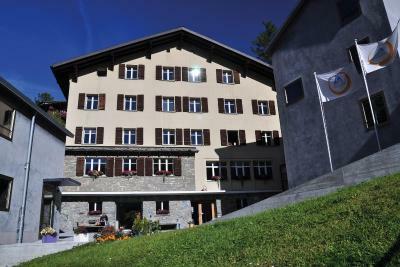 It was a good price for Zermatt, making it a good value. It just wasn’t as comfortable as other hostels I’ve stayed in. The room wasn’t clean, there was trash when we came in. Despite being told not to make noise after 10, people in the room next to mine were partying until 2 am and the hotel didn’t do anything. I was also promised that I can pay in cash when I arrive, but the hotel still charged me through the card. It is so spacious for a group of 4. Near bus stop (Red Line/Stop: Lucre) that connects straight to the Zermatt station. The staff was nice and friendly. The view of Matterhorn from our room was amazing. Definitely worth it. There are no elevator. I imagine this is because the kind and the age of building and I was aware of this but still it was hard to go to the 4th floor (where my room was) with the luggage...or without it... The breakfast was ok but it could be better. The guy that was There seems that was always in a bad mood, but not the girl she was nice. A wonderful view when you wake Up. 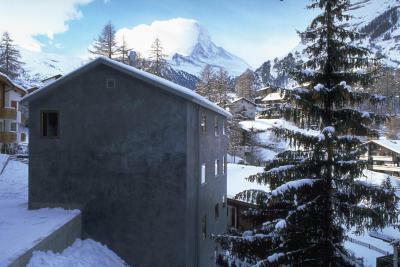 You can see matterhorn from the hostel. Also from the breakfast room. Even it is in a Hill, it is very close to the central station. great location, great view! good value!! 4th floor room with sloping ceiling and one skylight meant it was a bit dark and cramped and so getting ready each morning was a little frustrating! The rooms and facilities were clean and well kept, the food was pretty good and the location was good for the Lift to Furi. Bars a short walk away: North Wall and Papperla and ski room was spacious and warm. Staff were attentive and friendly. It would have been nice to separate quads by gender or at least advertise that they are mixed. Towels cost extra. Good included breakfast. Very helpful staff. High price comparing to other HI branches. Breakfast food. Breakfast view. Cleaness. The staff was helpful. The breakfast was awesome. Shower has a knob that has to be continually pressed in order to keep water running, which was annoying. Up on a hill, walking back in ski boots is mildly annoying. But, for the price, absolutely the best option. Lockers available free of charge inside the rooms, without need to bring your own lock. Towels and other amenities available at front desk. Free breakfast and WiFi. 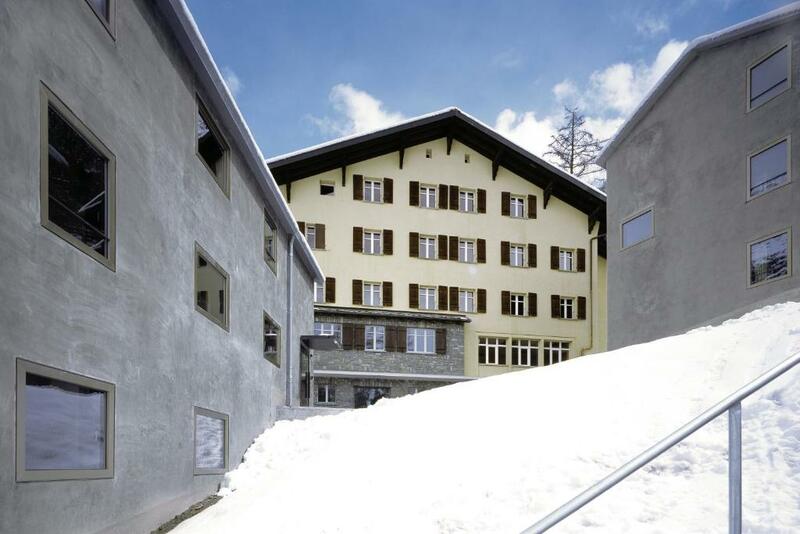 5-10 minute walk to city center, 5-10 minute walk to the ski lift. Bus stop steps away. 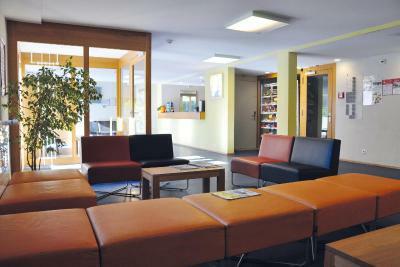 Clean facilitie.